The Philippines’ award-winning Discovery Shores Boracay of The Discovery Leisure Company earns another feather in their cap by winning the World Luxury Hotel Awards 2015 as Country Winner in two categories: Luxury Island Resort and Luxury Wedding Destination, at the ninth annual gala ceremony held at the Harbour Grand Hong Kong. Regarded as the highest accolade that a property can receive within the global luxury hotel industry, The World Luxury Hotel Awards is the pinnacle of achievement for luxury hotels the world over. Once a hotel is nominated, evaluations are done by a selected global panel of consultants situated among 144 countries, who arrange a mystery visit on the property to ensure service excellence. Among over 1,000 hotels nominated from 145 countries, the luxury resort in Boracay won the votes of international tour operators, travel agents, and hotel guests. 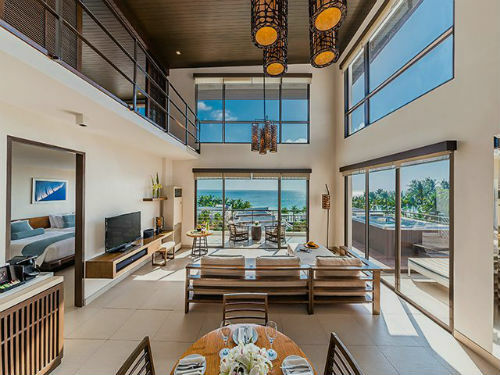 A member of Preferred Hotels & Resorts’ Lifestyle Collection, Discovery Shores Boracay is known for its inspiring architecture, exquisite coastal cuisine and legendary service. The 87-suite beachfront property features the highly acclaimed Terra Wellness Spa and well-loved restaurant Sands and Indigo. It is also the preferred choice of brides-to-be for remarkable destination weddings, set in the world-famous Station 1 of White Beach in Boracay. The Discovery Leisure Company, Inc. is a Filipino hospitality group that owns and manages a collection of hotels and resorts in exquisite locations around the Philippines. Its distinctive destinations inspire authentic experiences for every traveler, from Discovery Suites Ortigas, Discovery Country Suites Tagaytay, Discovery Shores Boracay, Club Paradise in Coron, Palawan, to the newly-opened Discovery Primea Makati. The Discovery Leisure Company, Inc.’s portfolio of award-winning properties is known worldwide for its signature Filipino hospitality, marked by genuine and personalized “Service That’s All Heart”. Get updates through The Discovery Leisure Company, Inc.’s official website at http://www.discoveryhotels-resorts.com. The beachfront property features the highly-acclaimed Terra Wellness Spa and well-loved restaurants Sands and Indigo. The resort is consistently listed in Travel + Leisure’s World’s Best Hotels and is a regular awardee on TripAdvisor. Discovery Shores Boracay is one of five properties of The Discovery Leisure Company’s portfolio of distinctive hotels and resorts, and is a member of Preferred Hotels and Resorts Lifestyle Collection. Visit the official website at http://discoveryshoresboracay.com for more information. Preferred Hotels & Resorts℠ is the world’s largest independent hotel brand, representing more than 650 distinctive hotels, resorts, residences, and unique hotel groups across 85 countries. Through its five global collections, Preferred Hotels & Resorts connects discerning travelers to the singular luxury hospitality experience that meets their life and style preferences for each occasion. Every property within the portfolio maintains the high quality standards and unparalleled service levels required by the Preferred Hotels & Resorts Integrated Quality Assurance Program. The iPrefer™ guest loyalty program, Preferred Residences℠, Preferred Family℠, Preferred Pride℠, and Preferred Golf™ offer valuable benefits for travelers seeking a unique experience. For more information, visit PreferredHotels.com.